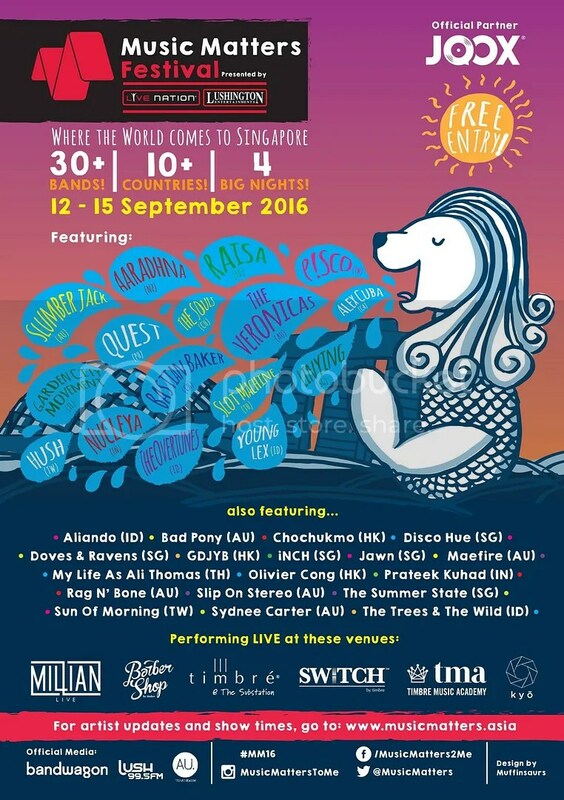 For the past years, Music Matters Festival has always been in the month of May and happening around the Clark Quay vicinity. However, this year the festival will be held in September, in conjunction with the F1 night race. 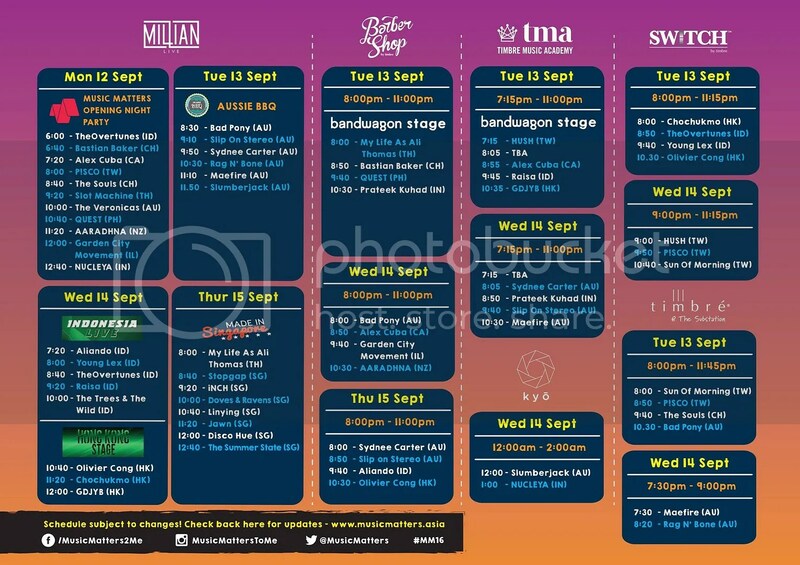 Also, this time round, the festival will be on weekdays and only at six locations; Millian, Barber Shop by Timbré, Timbré Music Academy, SWITCH by Timbré, Timbré @ The Substation and Kyo. The Veronicas, Slot Machine, Garden City Movement, Bastian Baker, TheOvertunes, NUCLEYA, QUEST, Aaradhna, P!SCO and The Souls will be performing at Millian on September 12 for the opening party to kickstart the festival which will take place from Semptember 13 to 15. Over the four evenings, expect to be entertained by over 30 artistes from Australia, Singapore, Hong Kong, Indonesia, New Zealand, India, Canada, Thailand and many more. On some nights, you will be able to discover performers according to their country as there will be Country Showcases from Australia, Singapore, Hong Kong & Indonesia. Support local talents on September 15 at Millian for the Made in Singapore showcase which will feature The Summer State, Disco Hue, Doves & Ravens, Linying, Jawn, Inch and Stopgap. Get ready for a week of great music and discovering new acts next week at Music Matters Festival. Entry to venues for the performances are FREE! For more information, please head over to Music Matters’ website and Facebook Page.